The Top 5 Reasons People Don’t Meal-Prep (And The Best Solution For Each One! As someone whose weekend routine now consists of a solid two to three hours spent in my kitchen prepping my meals for the week, it is hard to remember how I got through each day just five years ago when I was relying on the thousands of NYC restaurants to keep me fed. When I first moved to NYC, I had very limited experience in the kitchen. I had just begun working full-time, and I felt so blessed to be living in such an exciting and lively city that had seemingly endless options for one of my favorite things: food. After a year of knocking off as many restaurants from my “must-go” list as possible, I noticed a few things: The majority, if not all, of my paycheck was being spent on food, my lifelong trustworthy digestive system decided to end our wonderful relationship and leave me confused and bloated, and even when I purchased “healthy” meals, I still felt sluggish and tired. All of these issues slowly moved to the back burner once I decided to finally put my big-girl pants on and learn how to cook. Not only did I realize how much I enjoyed the act of cooking and experimenting in my kitchen, but I physically felt like a completely different person. Cooking your own meals and controlling the ingredients that go into each one makes a world of difference. As a self-proclaimed meal-prepping connoisseur, I am constantly trying to encourage others to give this life-changing practice a chance and help them along this journey. 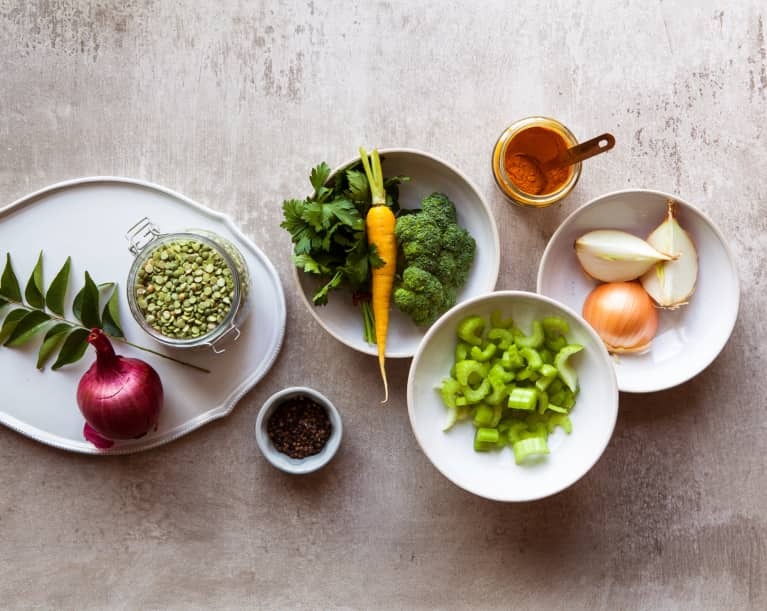 By providing numerous easily preppable recipes on my website and hosting meal-prep cooking classes, I make it my goal to help as many people give this lifestyle a try as possible. However, there will always be reasons or excuses for why people would choose not to spend a few hours on Sunday setting themselves up for a healthier week ahead. To help give you that extra push you need to get in the kitchen, I’m sharing the biggest hurdles people face when meal-prepping—and exactly how to overcome them. 3. The problem: It’s difficult and expensive to cook for one person. In a world so work-focused, the weekends are our sacred space. After just a few months at my full-time job, I quickly understood what the saying “working for the weekend” truly meant. That being said, people like to enjoy their weekends by filling them with hobbies that they may not get to enjoy during the workweek. Specifically, traveling. When I go away for the weekend, meal-prepping is the last thing I want to do upon entering my apartment late on a Sunday night. This is why my freezer is my traveling buddy’s best friend. As mentioned in the earlier point, during the weekends that I am local and have time to prep meals, I am constantly tripling recipes and stockpiling them in my freezer. Currently my drawers are filled with mason jars containing individual frozen servings of some of my favorite recipes, like this vegan sweet potato chili and cauliflower yam & thyme soup. This way, when I get home from a trip on a Sunday night, I can throw them in the fridge to defrost and easily enjoy throughout the week.